I coach under the guidance of 4 times Australian Ironman Champion and Level 2 Triathlon Coach Bruce Thomas along with his wife, Christina, also a former Australian Ironman Champion. Based in Sydney Australia. I have a passion for sport and my local community. As a Triathlete, Coach, Father and Husband I've always sought the challenges that training, competition and a healthy, balanced lifestyle provide me. 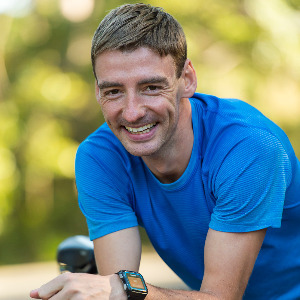 After transitioning from years as a runner, with International representation for Great Britain and Wales, I discovered a new challenge in triathlon. Owain is currently the World 70.3 Age Group Champion 35-39 and a Triathlon Australia Development Coach. Success. Coach Owain Matthews has been notified of your message.